Description September is jellyfish season and they are everywhere in southern Puget Sound! Sunny, warm, and dry conditions promoted strong late-summer plankton blooms in colors of red, green, and brown, now widespread in many bays. In contrast, Central Sound looks clear with low algal activity. 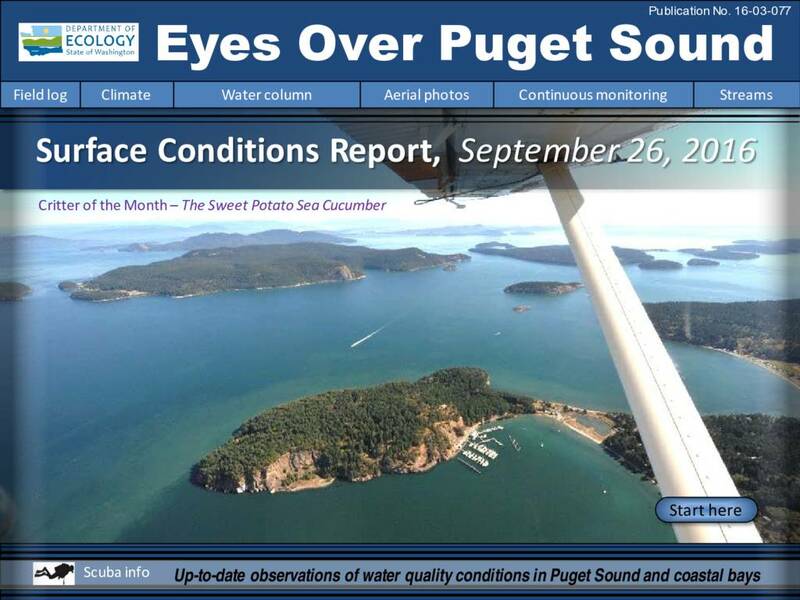 Southern Puget Sound has large floating mats of organic material and developed lower oxygen in August. Meet the Critter of the Month - The Sweet Potato Sea Cucumber.